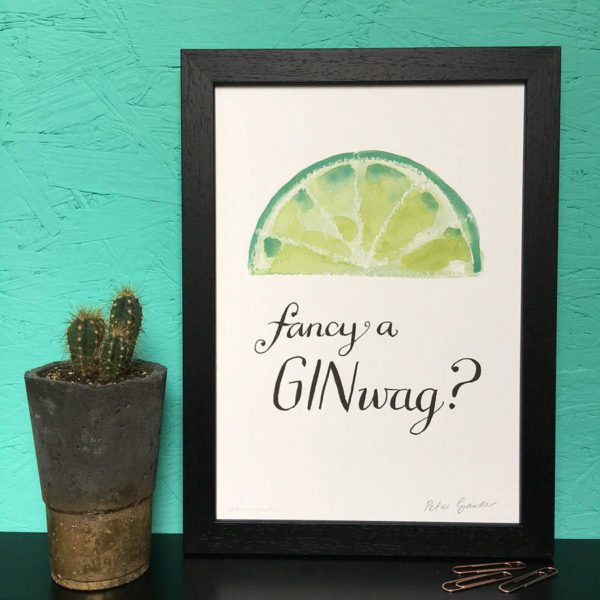 Personalised Fancy a Ginwag print, the perfect gift for him or her, the gin lover. Personalised Fancy a Ginwag print, makes a great Christmas gift for the gin lover in your life. A wonderful talking point hanging in your home for those ginwag evenings. Why not personalise it with your own message? How do you like yours? 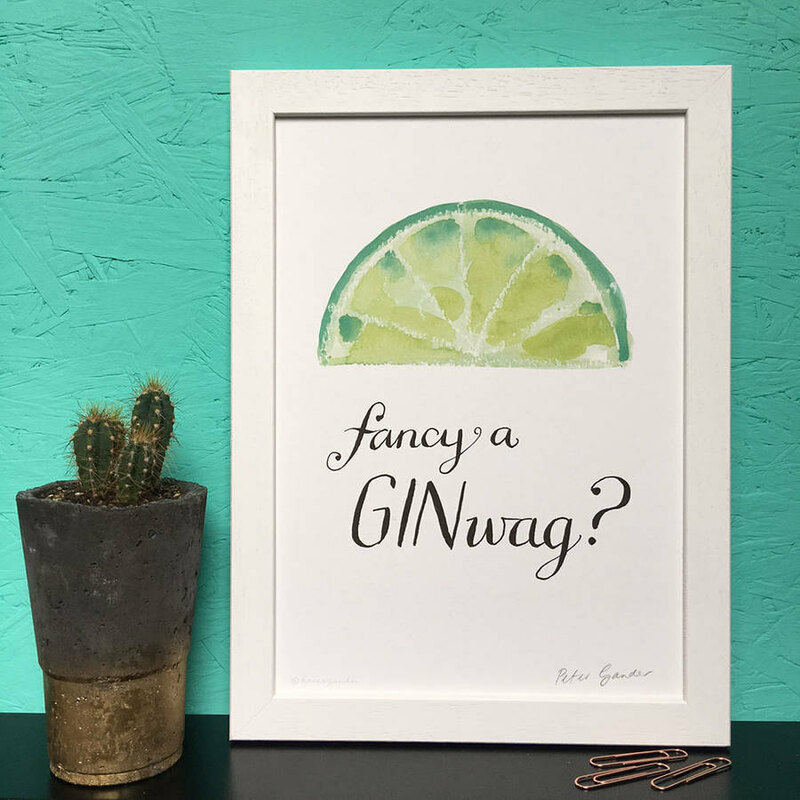 Lemon or lime, choice of sizes, choice of frames. This funny print is available in lemon and lime. 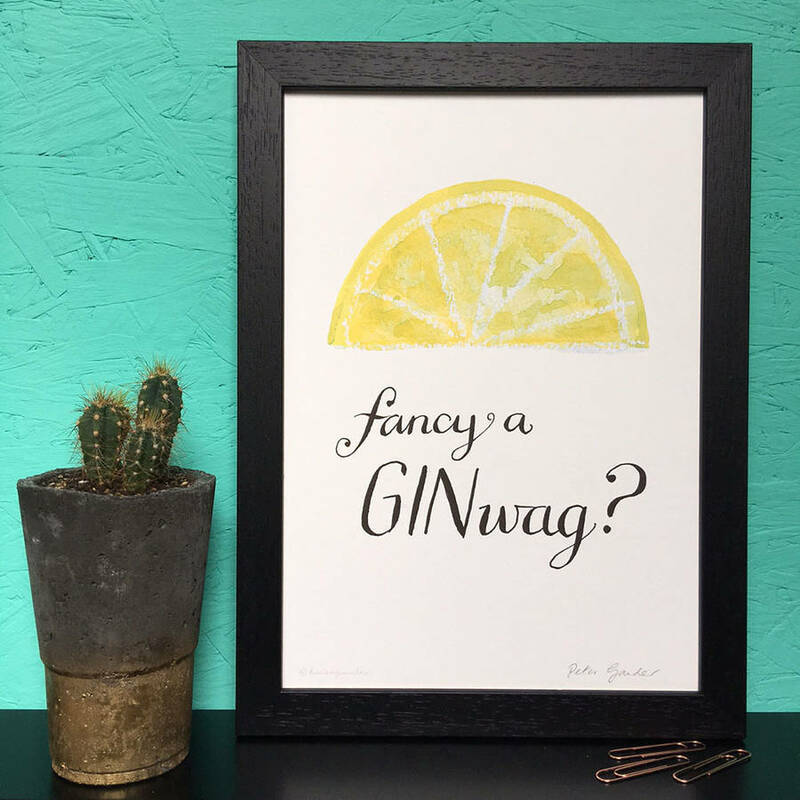 It’s available in 2 sizes, A4 and A3. It’s also available framed (A4 only) and unframed. The final option is whether or not to add a personal message. Frame – We offer a 22mm wide flat shaped black/white coloured frame. Made from real ayous wood with a stain finish.